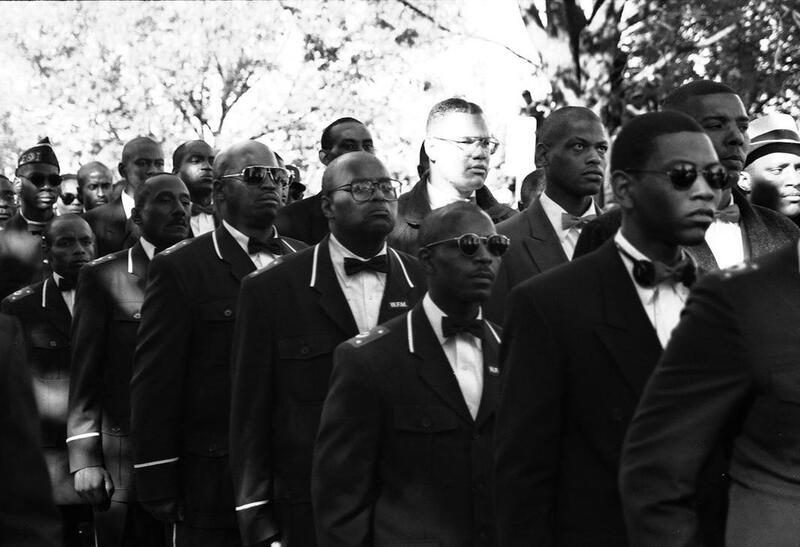 Roderick Terry photographs the Million Man March. 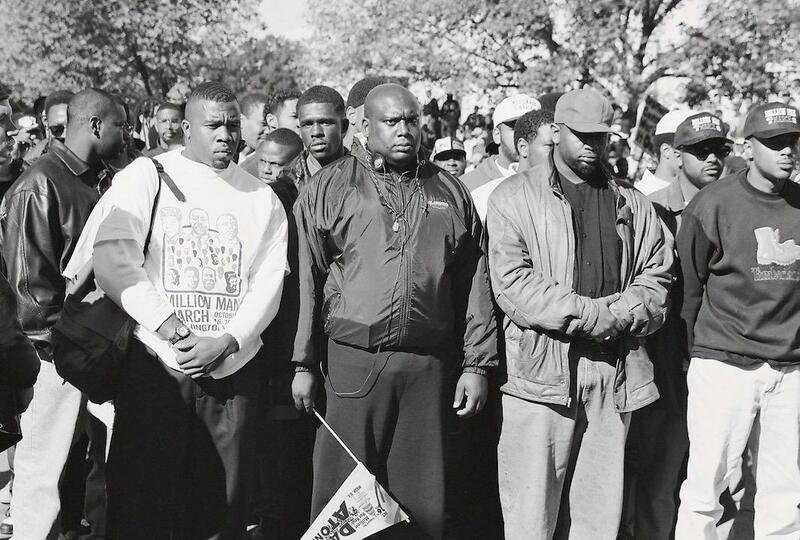 Twenty years ago, more than 1 million black men gathered in Washington, D.C., for the Million Man March, an event inspired by Louis Farrakhan and organized by the Nation of Islam, the National African American Leadership Summit, and other civil rights groups. 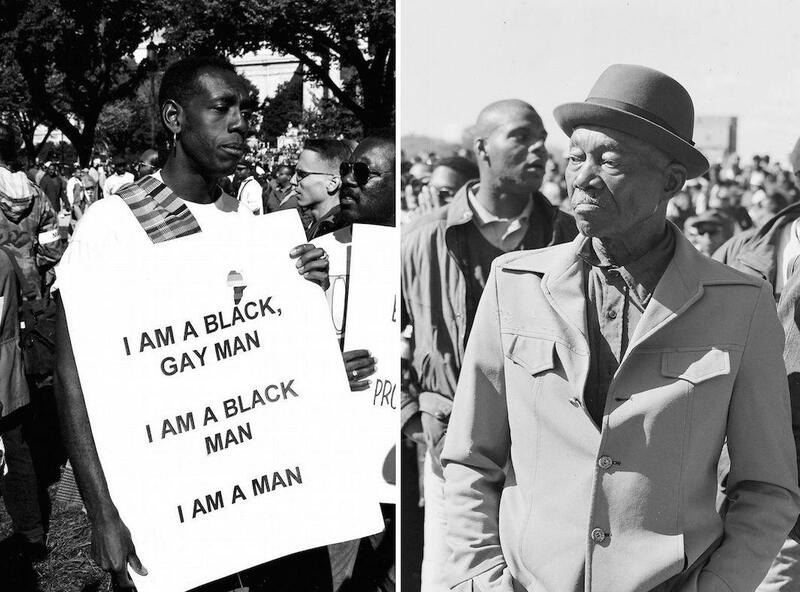 The goal was to combat negative stereotypes about black men and call attention to issues, including unemployment and poverty, impacting black communities. At the time, Roderick Terry was a 30-year-old prosecutor working for D.C.’s district attorney. Around his office, the expectation was that the march would lead to mass arrests. Terry didn’t agree. 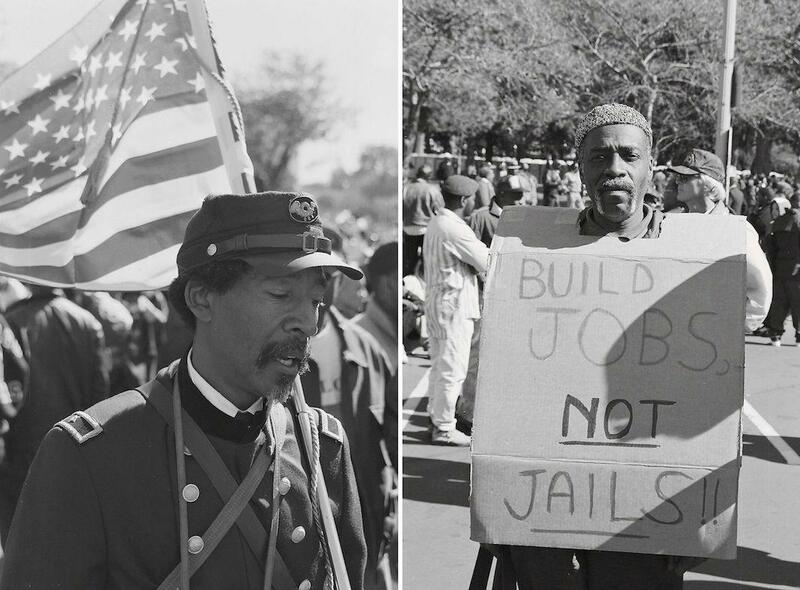 He wanted to document the march in a positive light, and so he bought a new Olympus camera and 10 rolls of film, and arranged to skip a training session at work in order to attend. “The beauty of it was we had completely defied public opinion and sort of in one fell swoop we unhinged years of negative stereotypes about black men. The expectation would be that there would be riots and we’d vandalize the city and of course none of that happened,” he said. Left: I Am a Man. Right: Old Man. Terry started photographing in the eighth grade with a camera he made himself out of an oatmeal box and learned how to shoot after he got his first 35mm camera and a subscription to American Photographer magazine. The march was his first major photographic undertaking and, ultimately, a successful one. In 1996, his photographs were published in a book, One Million Strong, and they have since been added to the Smithsonian National African American Museum of History and Culture’s permanent collection. They will be on view at the Sol Studio in Harlem from Oct. 21 through Nov. 15. 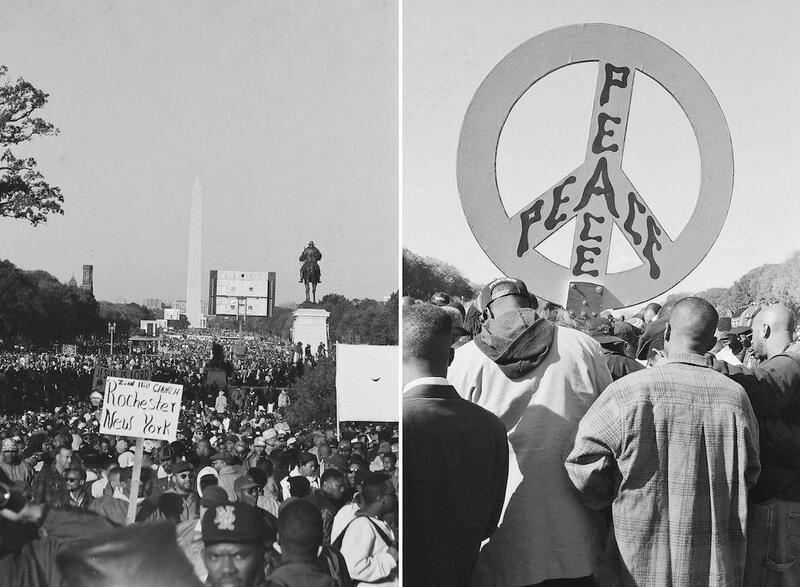 The morning of the march, Terry woke up at 5:30 a.m. and walked the few blocks from his place downtown to the National Mall, following the sound of drums. When he arrived, there were already hundreds of thousands of men there. The sensation, he said, was invigorating. 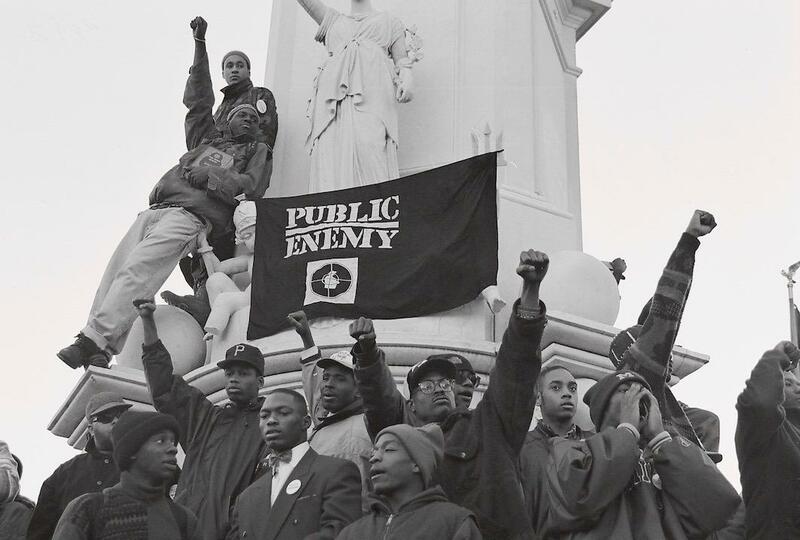 “It was a glorious moment to be on the Mall amidst so many black men. I could literally feel the love and warmth all around me. It was just a sacred gathering that will always linger in the hearts and minds of those who participated,” he said. Left: Glory. Right: Build Jobs Not Jails. Terry’s wide shots capture the sheer massiveness of the march. His portraits, meanwhile, focus on the handmade signs and banners that the men carried as well as their individual faces and personalities. “In the eyes you can sort of see the joy, the jubilation, the pain, the suffering, and the strength—just the range of human emotions,” he said. 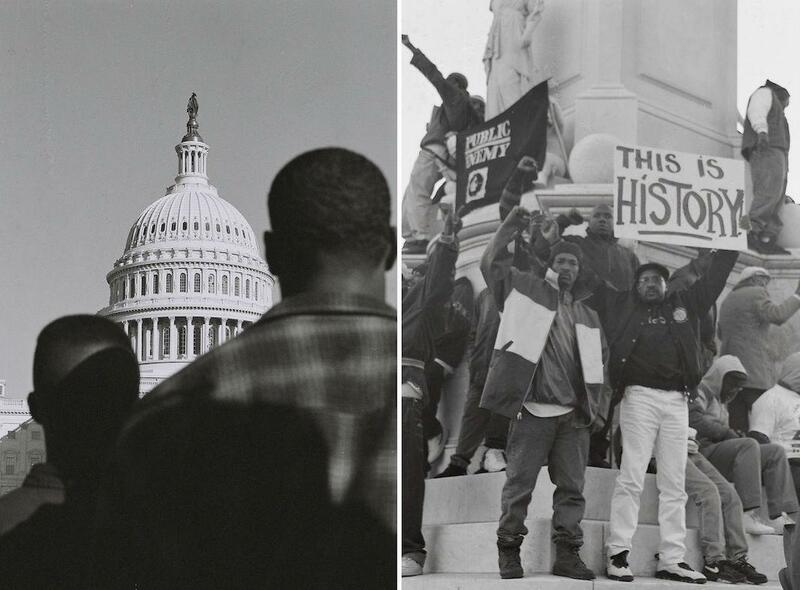 Twenty years later, Terry doesn’t believe much has improved in the realm of racial justice, but he still thinks the march was a pivotal moment and hopes others will think back on it when they look for inspiration to keep fighting for change. 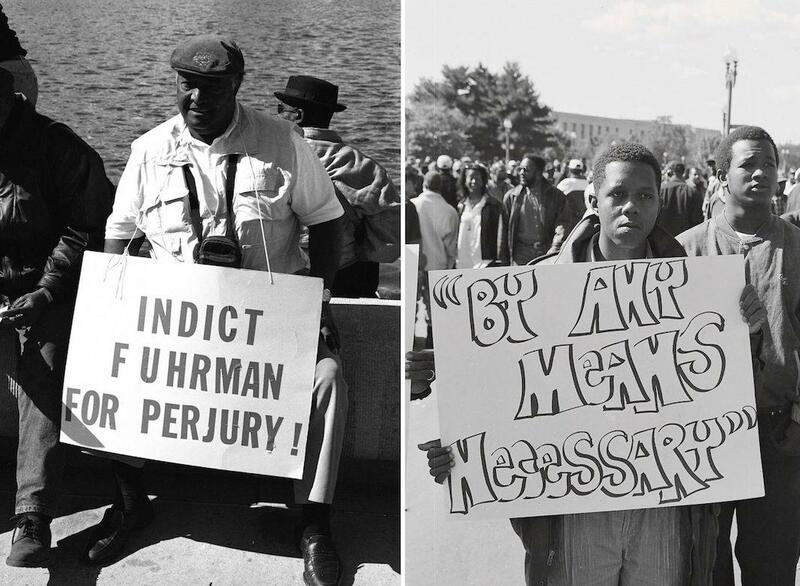 Left: Indict Fuhrman. Right: By Any Means Necessary. Left: Sea of Blackness. Right: Peace. Left: Silhouettes. Right: This is History.